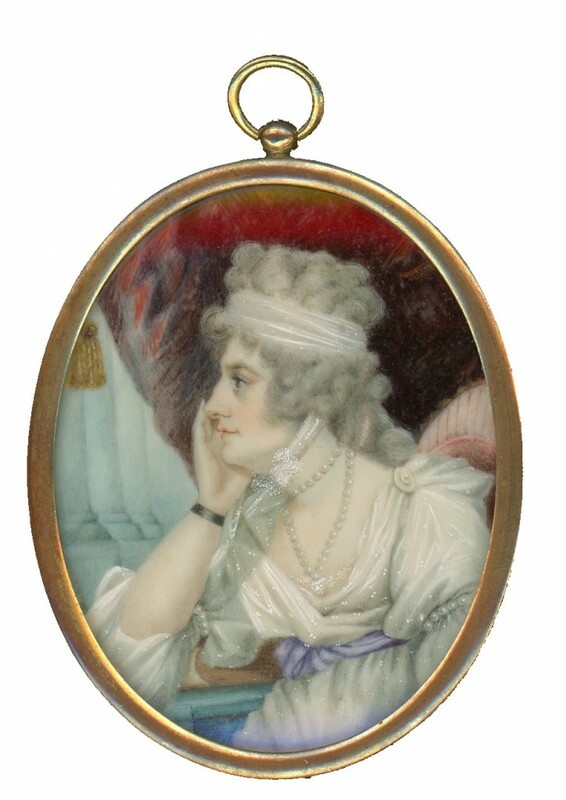 This well-detailed portrait portrays a lady named Sarah Paynter. Set before red drapes and classical columns, Sarah sits with her elbow resting on the arm of a chair and her face in profile. 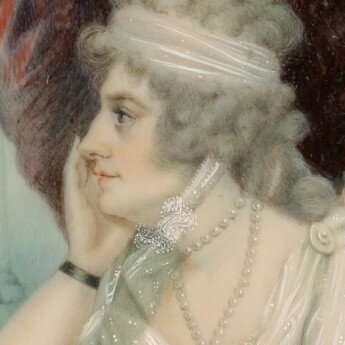 She is wearing a white décolleté dress tied at the waist with a blue ribbon sash, the sleeves trimmed with ropes of pearls. Her powdered hair is worn with a white spotted bandeau that is tied in a bow under her chin. 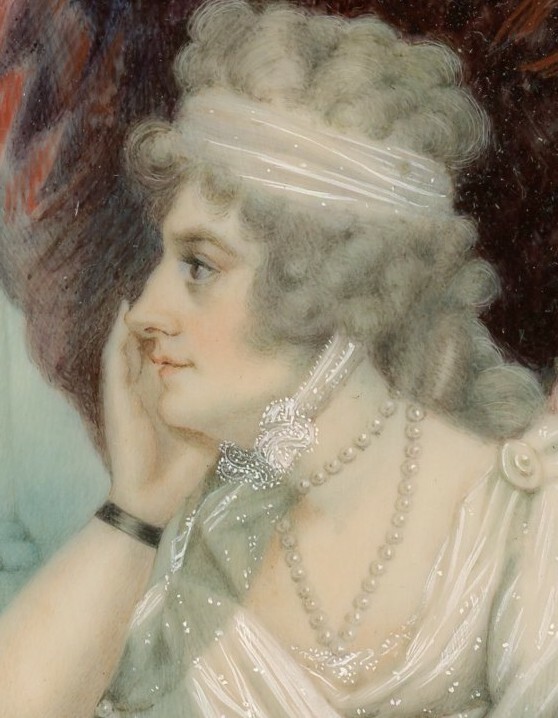 Sarah Whidbourne (1760-1810) married Francis Paynter of Denmark Hill in 1783. Francis made his fortune as a builder and contractor in partnership with his brother Samuel. 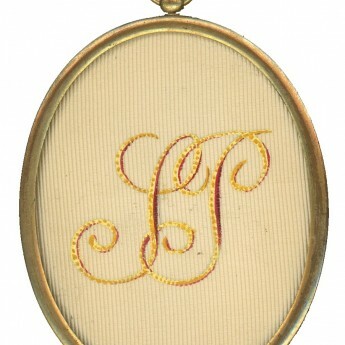 Watercolour on ivory inscribed reverse ‘Sarah Paynter 1st wife / of Francis Paynter / Mother of / John Paynter & / Samuel Paynter’. 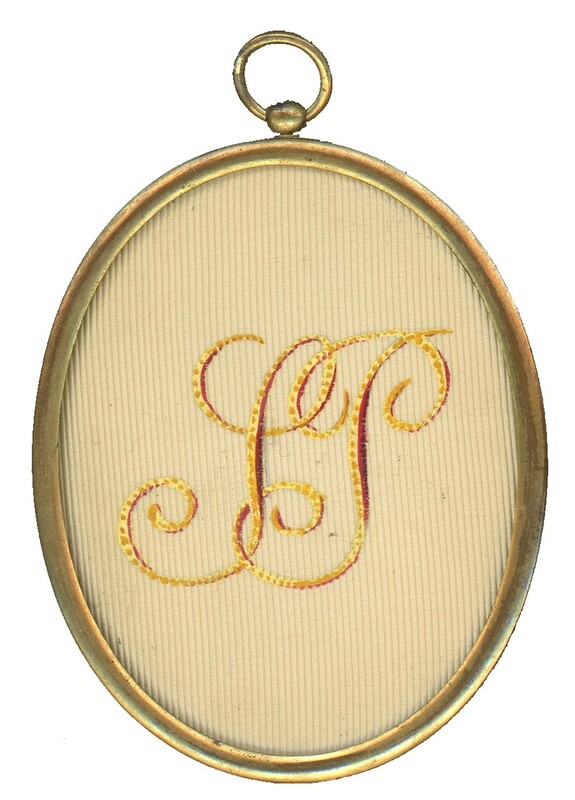 Presented in a gilt metal frame, the reverse glazed to reveal the sitter’s initials, SP, painted in cursive script upon cream silk. Fine condition.